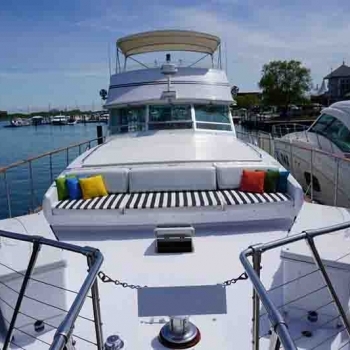 Chicago Party Boat Yachts For Rent – We’ll take you on a Chicago party yacht charter of a lifetime! You’re about to embark on a Private Chicago yacht party boat experience unlike any other… and best of all it’s absolutely fun-filled! 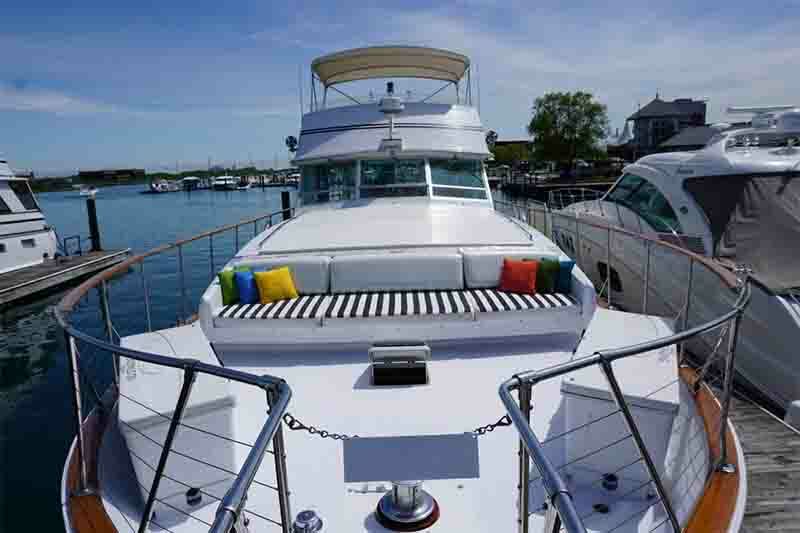 This beautiful Chicago party yacht rental was built with an overall length of 68 ft and is a prized vintage jewel, with its masterful blend of power and grace it virtually glides you thru the water. 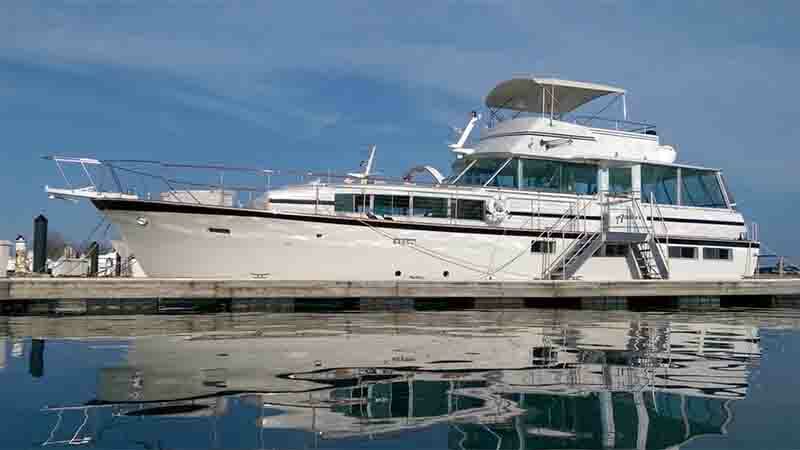 Few if any Chicago party yacht rentals can offer the same combination of luxury and versatility that is provided by this yacht. She combines the traditional charm , comfort and discreet service of a bygone era, with the luxury, technology and facilities of the modern age. 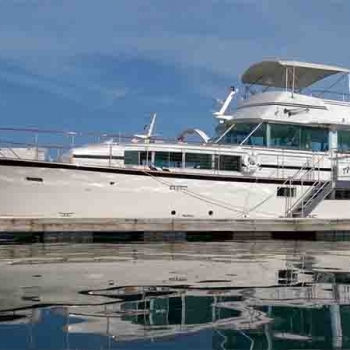 She offers outstanding opportunities for a boat party, both on deck and below within her interior. 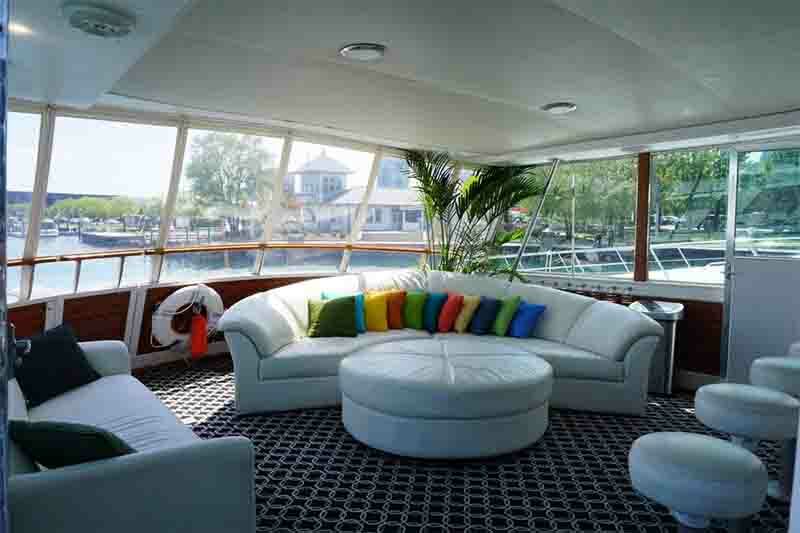 It is easy to understand the popularity of the delightful aft deck salon with wet bar, be it for open-air party cruise or merely for the possibility of an in harbor boat party rental. Above, the fly bridge offers a large seating or lounging area. Here guests can enjoy the sun, cool drinks, or gather for a sunset cocktail as a prelude to dinner. Adeline’s Sea Moose party yacht for rent is the ideal choice for couples, groups of friends or families, who appreciate value and want to have a uniquely memorable party boat experience that surpasses having it at even the finest of Chicago hotels, halls or any other place around town. So when you want to Live Life to its Fullest and want to have a special Chicago yacht party with some of your family and friends! 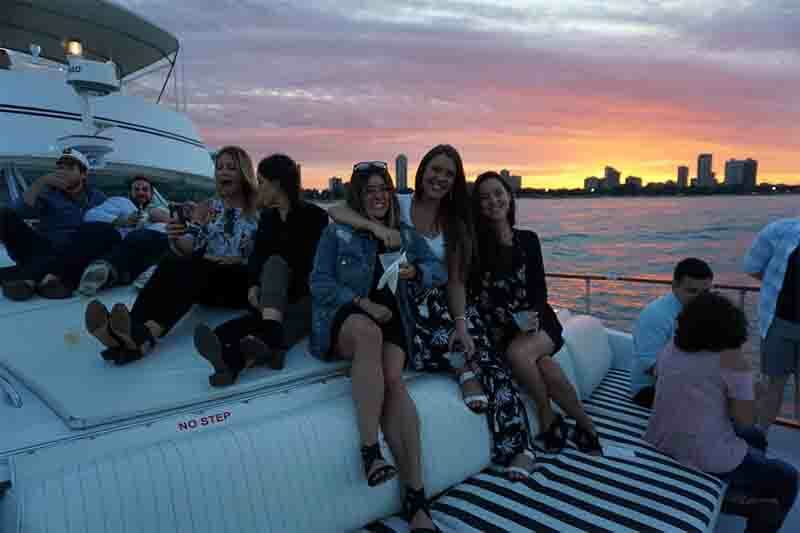 Adeline’s Sea Moose Chicago party boat gives you the opportunity to invite 40 of your family or friends to have a party onboard “your” 68 foot private floating party yachts playground for food, drink, merriment and what surely will be an unforgettable great experience for all. 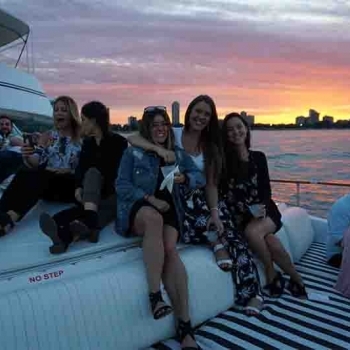 After the party… why let the party end and have to leave, for an additional fee you and several other quests can spend the night and have breakfast in the morning aboard this luxury yacht, no other Chicago party yacht rental offers this type of service and experience. Social party Events – if you have something to celebrate, we are the ultimate venue. For birthdays, anniversaries, bat mitzvahs, holiday parties, entertaining out-of-town guests, graduations, reunions, social and business gatherings, and more… the Chicago Private Yacht Rentals Adeline’s Sea Moose will create unforgettable memories for your next special occasion.